Freezer-friendly meals! Just hearing those three words makes me feel all warm and fuzzy inside. This is one of the soup recipes that I made and froze before our baby arrived. I absolutely adore soup this time of the year, even better when it’s already made for me. It’s versatile, soul-soothing, filling, and healthy. Plus, it’s easy to make it into a complete meal without much fuss. I like to serve it with some toast/bread and/or salad for a lightening fast meal. I can’t tell you how comforting it was to have this soup waiting for us when we got home from the hospital. By the way, thank you all for your tips on freezing meals. I picked up a few good ones (seriously, read the post + comments if you haven’t! ), including labeling all the containers. I now add a piece of painter’s tape (because it’s easy to remove) onto each container and I write the name of the meal and the date that I froze it. This way I won’t ever have to wonder what the heck is hiding in the container and when it was made. Why haven’t I done this before? Before I get to this soup recipe that I’m sharing from The Oh She Glows Cookbook, let me tell you about another revelation I had when I was making all of this soup in bulk several weeks ago. I finally taught myself how to substitute fresh tomatoes for canned diced tomatoes in my soup recipes. I try to avoid buying a lot of canned tomato products since acidic foods often leach chemicals from the lining of cans, so I figured it was time to finally bite the bullet and experiment with making my own using fresh, in-season tomatoes. I’m happy to report that this method worked well as a substitute in two of the soup recipes I tried so far. The only thing I found was that I needed to add more salt to make up for the salt that would’ve been in the canned product. Also, I only recommend using in-season, über tasty tomatoes for best results. 1. I use about 1.8 pounds of fresh tomatoes to replace one 28-ounce can. Many sources online suggest 2 pounds, so I wouldn’t go much more than that or you are probably adding too many. 2. Using a paring knife, create an “X” slit in the bottom of each tomato. This will make the skin easier to peel off after blanching. 3. Bring a large pot of water to a boil. Carefully drop the tomatoes into the boiling water with a ladle. Reduce heat to medium-high and turn the timer on for about 1 minute. When you see the skins start to peel away from the tomato, remove and plunge directly into a bowl of cold ice water. 4. Once cool to touch, remove tomatoes from water and peel off the skin. Core and dice tomatoes. Reserve the juice and be sure to add all the juices into the pot along with the tomatoes (unless of course the recipe calls for drained canned tomatoes). You now have an easy, fresh substitute for canned diced tomatoes! Yippee. 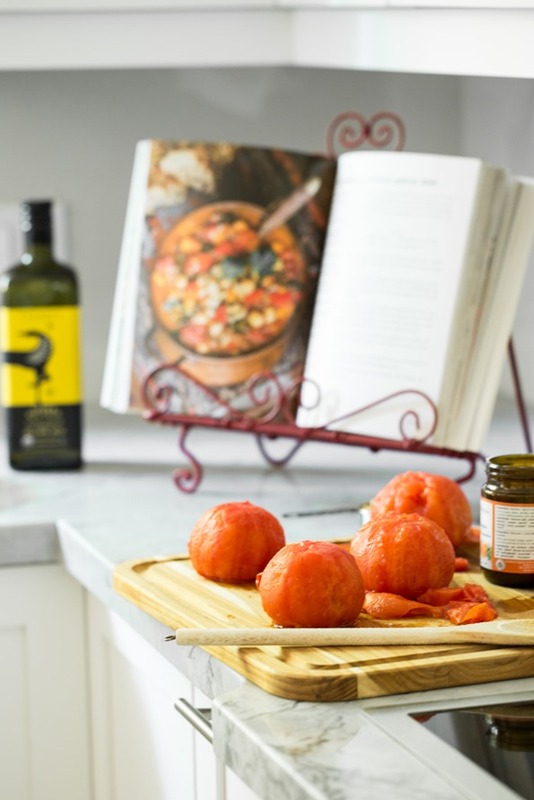 When I don’t have fresh, in-season tomatoes on hand, my go-to brand for BPA-free canned tomatoes is Ontario Natural Food Co-op – they are organic, sourced from Ontario, and use BPA-free cans. Another alternative is buying them in glass containers. Now onto this creamy, spicy, vegetable-packed soup! This is the ultimate bowl of comfort food, made with a decadent creamy broth and loaded with an array of health-boosting spices and vegetables. Be sure to soak the cashews in water the night before (or see my 30 to 60 minute quick-soak method) so they are ready when you plan to make the soup. Recipe is lightly adapted from The Oh She Glows Cookbook (page 237). Place cashews in a bowl and add enough water to cover. Soak the cashews overnight, or for 8 hours. For a quick-soak method, soak the cashews in boiled water for 30 to 60 minutes. Drain and rinse the cashews. In a blender, combine the soaked and drained cashews with 1 cup of vegetable broth and blend on the highest speed until smooth. Set aside. In a large pot, heat the oil over medium heat. Add the garlic and onion and sauté for 3 to 5 minutes, or until the onion is translucent. Season generously with Herbamare or sea salt. Add the carrots, bell pepper, potato, celery, and diced tomatoes with their juices, the remaining 5 cups broth, and 1 to 2 tablespoons 10-Spice Mix (to taste). Stir well to combine . Bring the mixture to a boil and then reduce the heat to medium-low. Season with salt and black pepper. Simmer the soup uncovered for at least 20 minutes, stirring occasionally, until the vegetables are tender. Season with salt and black pepper. During the last 5 minutes of cooking, stir in the cashew cream, spinach (or kale), and drained beans. Add more 10-Spice Mix, to taste. To freeze, ladle the soup into containers (leaving 1 inch for expansion), cool completely, secure lid, and place in the freezer for up to 6 weeks. Nutritional info uses 1 tablespoon of 10-Spice Mix. If you don’t wish to make the 10-Spice Mix, feel free to use your favorite store-bought Cajun or Creole seasoning mix and add to taste. You will have leftover spice blend. Store it in a container and keep it handy anytime you want to spice up a dish! It's great in pasta sauces, soup, as a tofu seasoning, in a stir-fry, and more. When thawed, this soup's broth looks a bit grainy, but rest assured when it's heated up again it will return to its former smoothness. Regardless, it'll taste just as good! The Oh She Glows Cookbook now sold in Australia! I’m thrilled to announce that The Oh She Glows Cookbook is now officially published in Australia by Penguin Books Australia! This looks so delicious! I feel like homemade soups sometimes fall short in the spice department (aka: the one I made earlier this week lol). I thought I was going to put a hold on the homemade soups for a bit, but I might have to trust your spice blend and give homemade soup another go! I agree about the spice, especially pepper. I feel like restaurant soups load up on the pepper, but the spices are what give it life. Anyhow, I love freezer meals! So smart of you to freeze meals (healthy ones) for when baby came home so you have some nurturing foods awaiting you. I try to freeze foods when my husband works extra like in the fall, but the problem?!? Duh me, I used all my glass dishes, corning ware and the like to freeze in, and then I didn’t have any dishes left to cook in! Not to bright. Love the idea of labeling with painters tape, what a good idea!!! I saw one tip for freezing things in glass dishes. Line the casserole dish in aluminum foil, and freeze to a solid state. Then remove the frozen block of food from the casserole dish so it can be used. Wrap the frozen block of food, and label it. When it is time to cook the dish, unwrap it, and pop it in the casserole dish that fits the frozen block. I’ve frozen berry (cherry, saskatoon, and apple all from our trees )mixture in pie pans lined with tin foil. Then took the wrapped berries and put them in freezer bags and back to freezer for making pies over the winter months. Good idea to do main meal recipes as well. Hadn’t thought about that. Thanks Pat! I just polished off the last bit of this soup! What an amazing kick the cashew cream gave to the perfect combination of veggies and spices! (Nothing left to freeze because I ate the entire batch over a 24-hour period! ) Loved it! Congrats on your wee bundle of joy! She is truly gorgeous!!! Bless your heart for finding time to blog in this exciting, but exhausting time of your life and continuing to share your creative recipes with us all (my tummy thanks you too). Looooove the looks of this soup! So many healthy and yummy ingredients! I’ve been looking to eliminate canned tomatoes from my pantry too, but unfortunately, my tomato garden wasn’t very successful this year. And now that summer’s over, ripe tomatoes are long gone from the stores, too. Dang. There’s always next year, right? This soup looks super tasty! My husband and I were just talking about new soups we could make, since the weather is getting cooler. I’ll be adding this one to next week’s menu plan for sure. Thanks, Angela! This looks so hearty and comforting! I love the use of cashews to cream this soup. Since the weather has begun dropping, we’ve taken to preparing a large pot of vegan soup every few days, which we eat for lunch or dinner daily. The comfort, approachability, and total decadence (yes, decadence!) of a hot bowl of soup cannot be matched by anything else, in my opinion. And yet, this freezer-friendly option just may be perfect for busier days ahead. Thank you for sharing, and hope you’re enjoying the days with your newcomer! So hearty and delicious!! Its soup season! Love it so much when it’s a freezer-friendly recipe. I like how you put soup in a CUP! Now that’s hearty and smart. On a second note, why don’t I have an avatar? I LOVE freezer recipes, especially soups! Love the tips on tomatoes, I need to switch over to a fresher variety : ) p.s. Your baby girl is too cute, love her! I love this soup, its one of my all time favourites. I had it on my list of things to make this weekend then up it pops on your blog. Can’t wait to tuck into a bowl. so glad to hear how much you enjoy it Chris! I have yet to make a soup recipe out of my OSG cookbook, but this might have to be the first! I used to use your method for peeling tomatoes, but I received this peeler as a gift about a year ago, and it’s so nicely serrated/sharp that it peels even super ripe and soft-skinned tomatoes like a dream! This soup looks so delicious and comforting. I love making big soup batches to store it in the freezer for a quick and tasty meal. 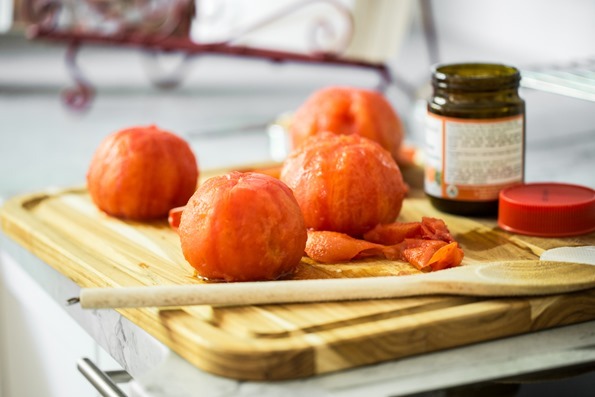 Also, great post about replacing canned tomatoes! I’m definitely going to be trying that out. Yes! Fresh tomatoes >>>> canned tomatoes any day! This year, while canning with my grandmother, she taught me a great short-cut with peeling ‘maters: you can omit the scoring an X part, as long as you shock the tomatoes after blanching in cool water. Letting them sit in cool water shrinks the flesh of the tomato away from the skin, and also cools it much more quickly, so the peeling can commence! Seriously, try it. Grandmothers know the best tricks! Just finished making this soup. I made 1/3 portion of the 10-spice blend and it was just enough (had a tablespoon leftover) to season the soup. Also didn’t have smoked paprika so I substituted ground chipotle chili powder instead. Love the complexity of flavors! I am sure you were very happy coming home to this comforting soup after getting home from the hospital! I love hearty, nutritious vegetable soups like this – especially when they can be stuck in the freezer for busy days! Thank you for the tomato tip – I wonder if they would freeze well (haha, I always suffer from the winter tomato blues!). Looks so comforting. There is absolutely nothing as comforting as coming home to homemade soup. I make and freeze it before trips if I know I’m going to be getting home late– such an easy thing to make, and I usually get home from trips tired, a bit run down, and most often, haven’t been eating ideally between airports and hotels. So excited to hear more about your transition to life as 3! Congrats again. This looks awesome! Do you think that it’d be rutabaga-friendly? I recently bought one the size of my head and now don’t know what to do with the thing. Hooray for the tomato sub! That’s great to know. 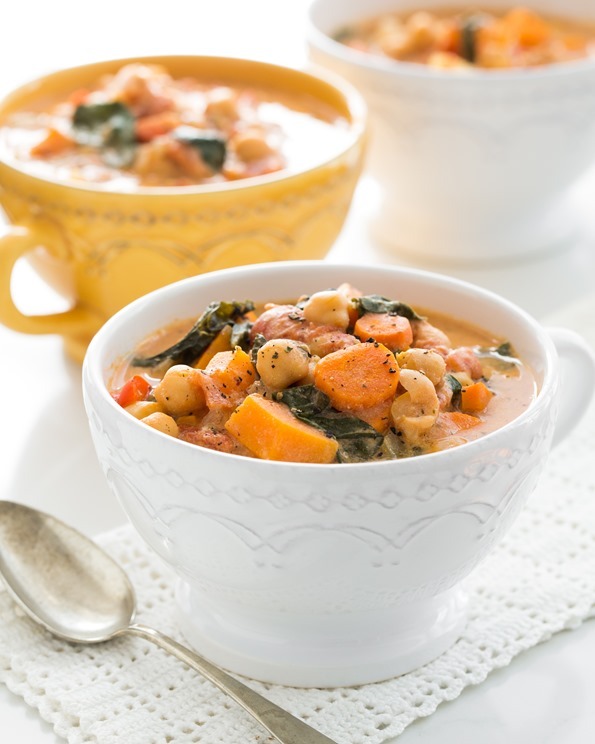 This soup looks deliciously warming… love the addition of cashews to make it more filling. Hi, Information for your Melbourne (Australia) readers. I saw copies of your book in Dymocks in Collins Street. It’s a great book – I bought it as as ebook. Where is your book stand from? I love it! This looks delicious for fall! I am a fan of making soups every week during the fall season to stay warm and healthy. Thank you for sharing your beautiful photos and your always fabulous recipes! The most interesting and flavorful vegetable soup I’ve ever had. A breeze to make, as well. The spice mix and cashews really take this over the top and make it unique. Thanks again for another great recipe! This soup is just packed full of good nutrition! Making your spice blend is on today’s “to-do” list. Being efficient in the kitchen just makes everything more enjoyable, doesn’t it? Thanks for sharing. It’s such a chilly fall day today, which makes this soup sound even more amazing! Thanks for sharing! why why why cashews? My son is allergic to them and so many recipes call for cashews. Got a substitution suggestion? 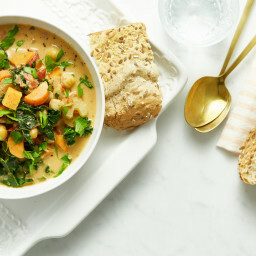 The cashew cream makes the soup very creamy and rich – however feel free to omit it if you’d like a regular veggie soup! I don’t know of a substitute as I haven’t tried any. You could try blending in a ripe avocado. They are awesome for making things rich and creamy but I’ve never trued them in soup before. My 2 year old is allergic to cashews and pistachios as well. I often use evaporated milk to make soups creamy, or pureed canellini beans. Not quite the same, biutbibthink the beans would work for this one. Cashews and pistachios are my favorite nuts, but we had to give them up completely in our house since the oils are almost imposible to get rid of reliably. Good thing our little man is so cute! :) His new thing, which is hilarious: Whenever he is asked to eat anything he doesn’t want to try, he says, “No thank you; that has cashews.” Looking forward to trying this! I can’t wait to make this! Our temperature is finally starting to drop below 70 and this is a perfect way to celebrate! Soup has been our go-to lately. I had to try this soup right away when I saw the recipe. It will be on my favorites list! The cashew cream makes the soup very creamy and rich – however feel free to omit it if you’d like a regular veggie soup! Let me know if you try it out. Has anyone been brave enough to try this in a slow cooker yet? I just got mine this week and have been dying to try it out! Great recipe! Where are the soup bowls from (or as my husband would say, coffee cups!)? Why remove the skins of the tomatoes. Cut them and put them in the blender, then add to the soup for extra nutrition and to save time. Prepare me your vegetable soup and I will tell you what kind of person you are. There is such a great variety between each cook when we look at some of the most basic meals he prepares. I absolutely loved your recipe for this soup, and I’m going to try it, and surprise my wife who is a celiac, and does not expect me to prepare any kind of meals for her. But I’m sure that it will be different, just because of the veggies I’m going to use, and maybe because I use different movement when I stir the soup. Peace. Any suggestions for making it nut free? Should I just skip the cashews? This is freaking fantastic!!! Every bite is better than the last. I served mine over yellow rice. THANK YOU for sharing this! Love this recipe. I have a tomato soup base I made that needs some help so I am going to add this spice mix…then can it and when ready to eat, I will add veggies/beans as desired (my boyz prefer just the broth part). I also just learned to use the fresh tomatoes – only my friend taught me a way easy method- cut tomatoes and put in crock pot for several hours /overnight to cook down. You can use them for sauce, soup…whatever! I totally hear you on the labeling issue – I occasionally forget (or am too lazy) to label something and EVERY time – I have to guess at what that thing is in the freezer! I spent too many years not labelling things in the freezer – it drove me crazy the number of times I’d pull things out and have no idea what it was or when I’d made it! Silly how long it sometimes takes us to do simple things that make our lives so much easier. Thanks for the tomato tip, too! Love your recipes—and so glad you are still posting, even after the new family member. When you do need to use canned tomatoes, consider Muir Glen organic brand—they don’t have BPA in the lining of their cans (now if they can do it, why can’t all other manufacturers?). There are also some tomatoes in glass jars. I’m all about freezer friendly foods as well! Especially foods that are really easy to make batches of in the first place! Thanks for the recipe. I shall try it out! I LOVE soups. I have a bowl of homemade soup practically every day, year round. I made this yesterday for the first time and am totally addicted to it! The cashew cream gives it such a beautiful texture. And the spice mix is delicious! I added a handful of fresh peas to it too, just because they were in the fridge. If anyone has other suggestions on how the spice mix can be used, I’d love to hear them. Cheers! My husband and I really like the spice mix on roasted potatoes. Add a bit of olive oil and toss with the spice mix. Works well for breakfast hash browns, as well as with dinner as a side. This soup is absolutely delicious! It was one of the first recipes I tried from the cookbook. No need for dairy when you have cashew cream. We’ll be making and freezing this recipe before our baby girl arrives in November. Thanks Angela! I’m not a very good cook but this is the third recipe I’ve tried from Oh She Glows and it turned out great. I mixed the spices, I used canned fire roasted tomatoes because that’s what I had on hand and some baby yukon potatoes. I served it for lunch and people actually had seconds! I’ve put some in the freezer, so we’ll see how it tastes later in the month. Thanks for the recipes and the easy instructions. Congratulations on your beautiful baby! This is the best vegan soup I have ever made – absolutely wonderful blend of flavors and creaminess. Not sure any of it will make it to the freezer! This is truly a blessing I found this post today! Thank you! I’m having neck surgery and trying to get some meals frozen for my family so we can have healthy meals while I can’t cook. Thank you so much!!! I’m a student who want to be healthier. I love your blog! So much inspiration! Also, I don’t really like soup, or at least I don’t think I do, but I cannot wait to try this one, looks soooo sooo sooo good! Love the fact that it is freezable, nothing is better than having pre-prepared food that you can just heat up! No excuses for skipping a meal then! Delicious! Hasn’t even hit the bowl and I love this soup. I made extra cream sauce and froze it for later use, gonna definitely make this soup again. Thank you! This is everything I’ve been looking for in my transition from vegetarian to vegan. I LOVE your recipes, especially this one as I’m a huge fan of homemade soups and freezing them for when I come in from a cvold day in the garden. Thank you. In all honesty, this is probably one of the best soups I’ve ever had! I couldn’t believe how good it was, and I made it! I’m not such a great cook. Thanks!!!! Yum! I love soup and this one looks as good as it must taste. Thanks for the recipe! I made this soup this week for lunch and it is amazing! Sadly I forgot the spinach but it’s still 5 stars for me! I just finished a bowl of this delicious soup for lunch, with some rice crackers and kale, hemp seed and sun dried tomato pesto from your cookbook (my favorite snack with rice crackers). Made this last night and it was amazing! Loved the smokey and slightly spicey flavor the 10 spice mix added to the soup. Perfect for a fall night. This soup is rich, hearty and filling, yet does not put me immediately to sleep like most rich foods. Very yummy, reminds me of the African peanut soup (also from your book). I love that it makes such a huge pot; we have been eating it for days and even had enough left to freeze several servings. Perfect for the cooler weather. I made this the other night, as it is definitely fall weather that calls for a warm, hearty soup. It was easy to make, and super delicious! I used a generous amount of Herbamare during the sauteing process, and with all the other spices, there was no need whatsoever to add additional seasoning after it was done simmering. The veggies were soft, yet crunchy – not a soggy mess like a lot of other veggie soups tend to be. The cashew cream definitely adds more depth, while not necessarily in flavor, but in richness. I see this becoming a constant in our home, to tide us over in the winter months and after our baby arrives! DELICIOUS!! This was the perfect fall healthy, comfort vegetable soup. I used kale and it was perfection. I also used about 2T of the 10 spice blend as I love a little heat. :) Making the 10 spice blend is definitely worth the time (about 2 min). I will be making this and freezing it in prep for our next little bundles arrival, but this batch is going to be devoured this week. I also made the carrot cake loaf with lemon glaze to eat with the soup. YUM! As much as I read the comments following recipes, I have never taken the time to write one. I have cooked more than two thirds of the recipes in your cookbook and countless others from your site. You have NEVER failed me! Everything has always been perfect. I truly appreciate your creativeness as well as the time you must put into testing out recipes before sharing them with your readers. The soup was outstanding in every way. My family sang my praises, so hats off to you! My only regret is that I didn’t double the batch! Cheers! Made this 5 star soup last night but added zucchini…. it’s pure deliciousness. It was so good I even ate it for breakfast!! I love how rich and filling this soup is. Mmh this looks delicious! Perfect for the small hunger in the afternoon or when you come home from a walk! I definitely need to try this recipe! A really filling, decadent soup! I messed it up a little because my red pepper had gone mouldy and I totally forgot the tomatoes but it still delicious! The broth is so creamy and smooth! First of all Angela, congratulations on Adriana! She is absolutely beautiful, oh boy, Eric’s gonna have his hands full with a daddy’s girl! Second, I made this soup and I absolutely love it! I’m in the tail end of the 2nd week of a 30 day vegan detox. I’m not a vegan but a pescatarian and this was such a perfect meal. I added butternut/acorn squash along with the sweet potato and wow, what a hearty and delicious soup for winter. I froze 3 huge glass jars from this and now I’ll have enough for winter nights when it’s cold and dreary! I still follow you avidly and love your book and have given it to several friends and family members as gifts! Enjoy your time with your sweet baby girl! I made this soup two days ago and we LOVE it! This is the first time I have made a cashew cream- and it’s wonderful! It adds so much rich creaminess to the soup. I also love the spice blend and am sure I will use it in other recipes as well. Thanks for the recipe! Just made this soup and the flavor is really good. I was in the mood for a blended soup so I threw several cups into the blender and it works beautifully that way too. Thanks for the recipe! Made this soup yesterday, and wow!! It is one of the best soups I’ve ever eaten. Even the bf loved it. I may have to make another batch before the long weekend is over so I can have some for lunch this upcoming week. Thanks for the recipe!! My husband is allergic to cashews. Any thing I can use as a substitute? I LOVE your recipes Angela!! Hey Natasha, I don’t know of a substitute off hand as I havent tested anything out. I would like to try to use a full fat can of coconut milk in the future though…not sure if that would work or not? My husband and I made this recipe. We’re in love with it! Would it be possible to make this in the slow cooker? Would that work? I am trying to avoid inflammatory producing items like tomatoes and red peppers. What would be some good substitutions? YUM!! This soup looks so delish!! I like the idea of adding the cashews seems like a great idea to give the soup a more creamy texture!! Have you ever added nutritional yeast to give it a more cheesy flavor? I cannot wait to try this!! I love this soup. The smoked paprika gives it a bacon like flavour which is awesome and the cashew cream is just such a game changer. I make a lot of soup and this was is quite unique and delicious. Thanks!! I tried this recipe yesterday and it was delicious! Thanks for the recipe! The broth with the spices tasted great, but some of the vegetables didn’t cook through (celery and bell pepper), even though I simmered for over the suggested 20 minutes. I’m worried if I had cooked those longer, then the other vegetables would’ve been too soft, as those did cook through well. Next time, I’ll put the sweet potato and the tomatoes a bit later, to give the harder vegetables a bit more time. I hate the smoked taste of certain spices but paprika is lovely and I replace it. I loved this soup! Unfortunately cashew nuts are not used that often in Italy. Would almonds do as a substitute in your opinion? Yes soaked almonds might work out just fine although I havent tried it. You might need to use blanhced (without skins) or remove the skins after soaking so its not grainy. I just made this soup with no alterations. It has a beautiful flavor. Very good. Will be added to the repitoire. Just made this tonight – delicious, healthy, creative soup!!! Angela, you never fail me! This is the best soup I have ever made!!!!! My family loved it as well. It will become my go to soup this winter:)!!!! This soup is amazing. Followed the recipe exactly using sweet potato and kale. It was so delicious and past the hubby test. Love that it freezes. This is the best soup I have ever eaten! The spices are amazing, and I just love the cashew broth. This is going to be one of my standby soup recipes for sure. Thank you for sharing! This soup is a family favorite! Even my non vegan partner loved it. Thank you so much for sharing your recipes. They are wonderful! Made this last night…yum! My one-year-old loved it, couldn’t get enough. Definitely a keeper. Excellent soup. I added lentils and white beans with kale and spinach. The spice blend is awesome. Congratulations to you and your husband on Adriana.What a beautiful baby! I tried this recipe with Old Bay Seasoning instead of the spice recipe just to save on time. It’s quite delicious. The celery and spinach don’t look quite as beautiful after the first day, but my grad school budget isn’t too concerned with aesthetics. Also, since this is my first comment, I just have to say how much I love this blog. It’s so inspiring. I’ve been attempting to be vegan for a year now but I fall off the horse quite a bit. I just come back here to get back into the groove. Aaaand congratulations Angela on the beautiful baby girl! This soup was my medicine when a nasty cough/cold made the rounds of our office. The second time I made it (yes, the virus lingered much longer than I’d hoped!) I substituted black beans for the chickpeas and a can of lite coconut milk for the cashew cream (cleaning out the cabinets) and the result was just as fabulous. Thank you for what is now a reliable cold-weather (in all respects) recipe in my kitchen! Hi I have an intolerance to Cashews, could I do the same thing with almonds to replace them? Could I use almonds in all your recipes to replace Cashews? Or could you suggest something else? Love this soup. So many flavours and they all come through. I have found it best to omit the spinach when freezing as it goes a bit soggy. I just add it when heating it up. Love the cashew cream. I would never have added this to soup. Thanks for another great recipe. LOVE LOVE LOVE this soup!!! Has anyone tried making this without the tomatoes? I’m just not a huge fan of them unless they’re in bruschetta. Any thoughts on omitting/substitutes? OMG!!!!! this was the best soup I have ever made!!!!!! Kudos to you!!!!! LOVE, LOVE, LOVED IT !!!!! This was soooooooo amazing!!! I loved every bite! I made this soup last night and… WOW! It is so delicious. And easy. I threw together the 10 spice powder a few days ago so the soup came together quickly. I have been searching for a cookbook holder similar to the one in the photo above after seeing it in your book! I can’t seem to find anything nearly as cutesy. Do you remember where you bought it? Love your book btw, my diet is pretty much OSG exclusively ;). Oh my goodness, it was sooooo gooood! Made it with chickpeas and butter nut squash. Absolutely, hands down, my favorite soup EVER! I just made this and it is to die for. Honestly, it’s one of the best soups I’ve ever tasted. I put a bit extra cashew cream in because I didn’t measure my cashews and I didn’t have any black pepper and it is SO freaking good. Thank you, as always!!! I chopped my veggies pretty messy/not exact, and I used sweet potato, chopping it about 1/2 or so thick and almost an inch wide, and it worked fine! Fantastic, thanks so much for your help! This was the best soup that I have made this year! An absolute perfect Autumn soup! So earlier this afternoon, I googled “spicy vegetable soup” and stumbled upon this recipe and I am so glad that I did. This soup is so delicious it’s ridiculous! Being impatient and not wanting to wait to soak the cashews for hours, I opted to make the soup without the cashew cream, though next time I will try it since I imagine it helps to cool the heat from the pepper. I added vegan italian sausage into mine, since I’d already had an open package of it and didn’t want it to go to waste. Additionally, I also added about 1/2 cup of quinoa and 1 tbsp of coconut flour to thicken it up. Thank you for sharing this recipe. It will be a mainstay in my collection! This soup is incredible! The first time I made it, it was very spicy, which was surprising! Maybe I made a measuring mistake with the spices – I haven’t noticed any other comments about this, so that’s good. Even with the heat, we gobbled it up! Another batch is cooking tonight, with less cayenne! This is my favorite soup!!! I made this twice in a week!! So flavorful and creamy, I can’t get enough! Thank you for sharing this recipe. As sways, you create the most delicious food! DELICIOUS! this is now our staple vegetable soup…thank you! I made this soup tonight and I loved the flavor, but it didn’t thicken up like I think it should have. The “cream” was pretty grainy even when hot. What did I do wrong? I used a quart sized jar of fresh tomatoes that I canned earlier this season, so a little more than called for, could that have made it too watery? What could I do to fix it, make and add more cashew cream? Thanks for the feedback! Hi jenny, It sounds like a blender issue – you need to use a good high-speed blender that has the capability of pureeing cashews smooth. A vitamix works great, as would a blendtec and Im sure a few other brands! I just made it and while it tastes GREAT my broth is grainy also. And I used a Vitamix to puree the cashews super smooth- left it on high for about 2 minutes! BUT I did use about 2 cups of pureed tomatoes from my freezer (I pureed a bunch of garden tomatoes this summer and froze them in 2-C. batches). I also added a 15 oz can of diced tomatoes to get the volume closer to where it should be. Do you think it has something to do with the fresh tomatoes Jenny (above) and I both used? Bc blender is not the issue for me. I’ve made this probably 5 times in the last month. I can’t eat cashews, so I leave those out, but it’s still amazing! Wow. Made this to take to work for lunch for the week and everyday it seemed I wanted lunch to come a little earlier. Thanks. I just made this soup from the OSG cookbook and it is amazing! I love the addition of the cashew cream. Yum! GREAT recipe!!! I cannot say this enough. My husband and I were in the mood for soup and I thought I would try this out. We were blown away with how delicious this soup was! I made it again for a pot luck party at work and received so many compliments. There was not a drop left over! Thanks again Angela for another stellar recipe! I have made 3 batches of this soup in just 3 weeks time. I cannot stop eating it. It is THAT good. Amazing. About to cook this recipe tomorrow. I’ve subbed black beans and pinto beans, they both worked well. I’m sure kidney would be fine, too. I love that people can’t believe this has no dairy in it – that cashew cream is magical stuff. The smokiness of the paprika in the 10 spice blend gives this soup that extra zing that is lacking in so many other soups. This recipe is so flexible, too – I use whatever beans and greens I Have on hand. We have made this twice so far for our omnivore guests and it gets gobbled up each time. Can’t wait to have the leftovers for lunch today! This was delicious! Will definitely be making it again. Thank you! Another great recipe– I love this blog. Thanks for the recipes and all the inspiration. I made this tonight; I had all the ingredients except carrots, and only had half the required tomatoes and only half a sweet potato. I doubled the red pepper, added chopped asparagus, mushrooms and parsnip. Spice blend easy and delicious. Turned out exceedingly well. i made this soup last night, with some help from my boyfriend! the prep did take us a while. there is lots of chopping and measuring required, but is was so worth it. winter is cold in Detroit, but this soup made us feel all warm and toasty :) i can’t wait to eat some left-overs for lunch today! This was SO good! My husband and I are doing a diet right now and I was looking for a good vegetable soup. My husband hates soup so I thought that I would get this all for myself, but no, it was so good, that he wanted some too! I love your soup recipes. However lately I get terrible heartburn from tomatoes. Do you have any suggestions of what could be substituted for the tomatoes in your recipes? I’m no Angela, but I depending on the soup, I think you could nicely sub some cubed or pureed squash (pumpkin or butternut should work well), or you could use cubed eggplant which is in the same “fruiting vegetables” category as tomato. For this soup I think a winter squash would work best… I’d do maybe 1/2 puree and 1/2 cubed and see how you like the consistency at that point, too much puree will make the soup very thick. Good luck! 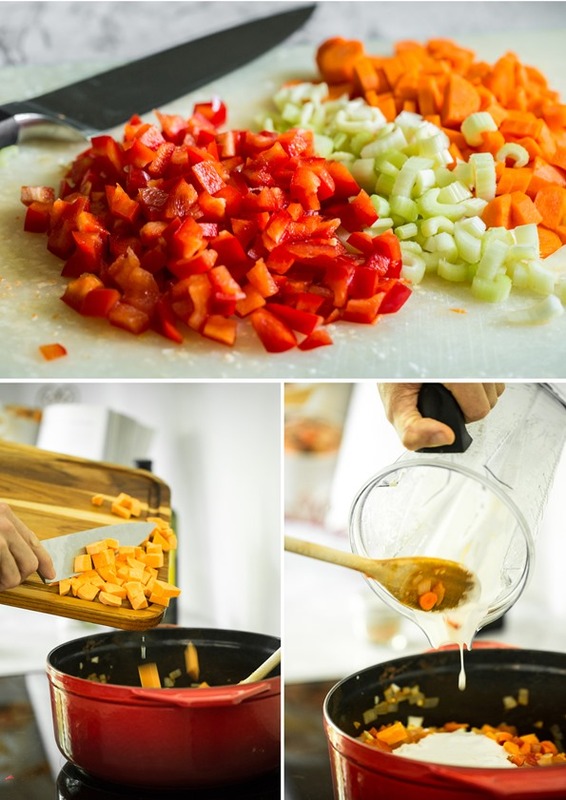 Your soup will have a different flavor profile without the acidity of the tomatoes in it. If you don’t have a bad reaction, you could add a little apple cider vinegar (like a tsp) at the end to augment for that flavor. I’m a semi-professional soup maker (i.e. I make tons of them in the wintertime), and this is easily one of the best ones I’ve made yet this year! The cashew cream takes it over the top and really differentiates it from other vegetable soups. My husband and I both agreed that it would stand up against any of the soups on the menu at the fancy vegan restaurant in our neighborhood. Thanks Angela! Just finished eating this for dinner, so delicious! I have used cashew cream on pizzas and in mushroom stroganoff but this is the first time I’ve seen it used to enrich a soup, and I am sold! I added 1 tablespoon of cumin and 1 tablespoon of sumac to the spice mix and put two rounded tablespoons of the spice mix into my soup. I also doubled the kale, because KALE. Lastly, because I am neither gluten-free or vegan, I topped our bowls off with freshly baked crusty bread torn into pieces and a light dusting of parmesan, and the results were toe-curling, so if someone does not have any dietary restrictions I would highly recommend serving it this way! I made half of this recipe (thankfully) and pretty much stuck to the recipe. Unfortunately I did not like the taste of this soup. The tomatoes were not needed in my opinion and I feel that it ruined the taste of the soup. I was expecting a cashew flavored soup with hints of the other ingredients. This soup is wicked amazing! Made this soup for friends last night and it was a huge hit!! Loved the slight creaminess the cashews give to the veggies. Delicious! I just made this soup and actually this is my first time making soup from scratch, and I’ve truly impressed myself (thanks to you might I say). You make being Vegan easy!! The flavors just pop in your mouth, you taste everything and the 10-spice is the best!!! I didn’t have cashews so I substituted them for almonds, and it came out amazing!!! I’m planning on freezing the soup and enjoying it all winter long. Thank you so much for this wonderful bowl of complete awesomeness!!! recently and I wanted to make a soup for her. She loves it as well. The cashews made it creamy. Nice touch. I will be making a pot us us as well from now on. Yummy! First time I tried sweet potatoes in soup. Loved the combo. Another hit with adults and children in this house. Thanks! Made this soup yesterday (first time ever making soup btw) and it turned out wonderful! This batch makes plenty for lunch throughout a busy work week. As I was reheating it today my coworkers commented on the lovely smells coming from the microwave (not a fan of microwaves but sometimes you just have to deal!) I also feel more independant and secure in my cooking :) I finally know I can make soup now yay! This was great! I added peas, corn, sliced baby bella mushrooms, broccoli and a bit more vegetable stock. Really, really good! Even for a non-vegetarian/vegan who had it for dinner. Thank you. This is a staple recipe now. Angela, this soup is toddler magic!!! My daughter is 22 months old and will basically only eat cheese and blueberries. But this soup? She’ll eat it for breakfast lunch and dinner including the kale and tomatoes! Thank you thank you for sharing your talent! Instead of soaking cashews, would it be possible to use almond meal to make the vegetable soup so creamy? REALLY good. My favorite parts of this soup are the creaminess and the smoked paprika. I doubled it so will be freezing some as well as giving some to my parents. It was 39 here in Fl last night- this soup kept me feeling comforted. Love you! Really good. My favorite part of the 10 Spice is the smoked paprika. My favorite part of the soup in general is the creaminess. Doubled it. Freezer friendly, yay! Love your recipes. Happy New Year and congratulations!! I made this soup a few weeks ago, and I can’t stop thinking about it!!! I froze it so that my boyfriend could have it to bring with him for work for the week, he literally ate it fir breakfast, lunch and dinner…there goes the week!!! I wish you had a photo upload button I’d love to share my collage of me making this soup. I love this soup!!! I have been living off 10-spice soup all winter long. I love it! I once labeled something “Funky Yam Stew”. With that description it sat a while in the freezer. But the freezing turned it from funky to fabulous. Branding is everything! That is Winter’s Heaven!! I loooove it! I just had to share this… tonight I turned some of the leftovers I had of this soup into a flavourful rice pilaf dish! I added some soup broth and extra vegetable broth to a brown and wild rice mixture, cooked the rice as directed on package, and then added the veggies from the soup in the last few minutes of cooking. Turned out great! How many quarts does this recipe yield? I made this soup this weekend and it is so good. I used my food processor for the cashew cream and it worked beautifully…just blend a little liquid at a time and really let it run until it’s super creamy, then add the rest of the liquid. The cream works beautifully when added to soup, and reheats well as well. Excellent flavor! This is a delicious winter soup. I served it to friends who love the traditional American diet and they loved it. Rich and hearty with great flavor! I made this last night for family of four, we all loved it! I followed the recipe exactly, and it turned out delicious. I didn’t read your recipe properly and I added ALL the spices to my slow cooker! When I realized my mistake, I added an extra can of garbanzos and an extra cup of water. I also added the juice of one lime and a tablespoon of brown sugar. The result was a delicious (although spicy) and incredibly colorful soup! I will name my version the, “10x the Spice” Vegetable Soup, lol. I’ve tried many of your recipes and they are all fantastic and simple. Thanks! Left out the pecans as I wanted a more clear soup this time, turned out very nice. I make soups all the time, freezing them in single portions in zip lock bags, two cups per portion. I live alone but love homemade soup for lunch, if I have company I just pull out more bags, this has worked well on a wide variety of soups I have made. Just made this soup today! Its amazing! I am sharing it with friends ans passing out the 10 spice blend in baggies encouraging them to make a batch. So good! Thanks for posting! I did not have cashews- so I used 3/4 cups of vegetarian refried beans in the blender with a cup of broth and used that as my cream sauce. I also used frozen chopped butternut squash and frozen chopped spinach to save a bit of time chopping. Delicious! This is the best soup I’ve ever had! I’m making it tonight for the 2nd time. My son loved it too! Love Love your recipes! Made this soup last night, it’s amazing. So happy I found your website. Started 2015 off with a 21 day fast and decide to take it to the next level and become a vegan. Thank you for the help! Also made double dark chocolate coconut macaroon tart for my sons birthday. Heaven in a pie dish! This soup was amazing!! I pureed the butternut squash and didn’t use peppers since I am not a fan. This was the best soup I have ever had. The cashew cream was a genius idea. This soup is Amazing!! I can’t wait to have again for lunch tomorrow! While I tota appreciate that this can be a freezer meal I know that it won’t make it to my my freezer :) I will be purchasing your cookbook based off of this soup and your toffee chocolate chip bars. I made this tonight. I omitted the cayenne, did use the white pepper, and I used 2 Yukon gold potatoes and 1 large yam. I also used white kidney beans instead of chickpeas, and I added a nice amount of cinnamon and a couple TBS of coconut sugar. Then I pureed everything. My 2 yr old son gobbled it up and loved it! Next time I would use raisin soak water instead of coconut sugar to balance the acidity and use less white and black pepper. But it’s a winner! This is delicious. I used chard instead of kale. I freeze (stew-like) soup in 16 oz containers, if I don’t have leftovers, I grab one from the freezer in the morning and have a healthy lunch. I have several different soups in the freezer for variety, but this is so good, I had it 2 days in a row. I’ll definitely make this again. Thank you! For once my 5 yr old actually likes a homemade soup! However, I can’t send it to school as it has to be nut free. Would a bit of soy milk work in place to make it creamy? Made this for a dinner gathering, and it was wonderful! So flavorful. Not a typical tomato soup or minestrone. The flavors and addition of the cashews made. Thanks! It made about five large bowls. I added chicken, but otherwise stuck to the recipe. I am new to your blog and first can I just say you are wonderful and I love it!! This looks amazing! Thanks so much for this life-saver :) I didn’t notice in the recipie (if it is there and I missed it-sorry! ); but I was wondering how long the soup stays good for? My wife and I work full time and go to grad school so we often try to make a week’s worth of meals on Sundays and just heat them up during the week. Thanks everyone and again, great freaking recipie! I absolutely love this soup! The spices just wow me with every bite and it feels so good to know so many good-for-me vegetables are going into my body in a single meal! 1) I didn’t have smoked paprika or paprika at all so I just mixed salt and pepper (apparently that is NOT what paprika is (thanks Blues Clues), but it still tasted good). 2) I also didn’t have cashews so I figured an avocado would make things creamy so I did that instead. It tastes good but I think I should have not added so much liquid because the soup wasn’t very creamy (but still delicious). 3) I added zucchini because I thought, why not? I love zucchini! I think I did something wrong because it just kind of tastes rubbery in the soup. So maybe don’t add zucchini ha! I can’t wait to make this soup again and again and again! Husband absolutely loved it as well! – I already had cashew butter in the cupboard, so I did this instead of the soaked cashews. – We added the chick peas in with all of the vegetables, letting them cook down and become soft/creamy. I don’t think they would have been as good if we added them at the end with the spinach. Hi there! Just browsing the comments here and I noticed you mention you used cashew butter in place of the soaked cashews–can you elaborate? Did you just blend the cashew butter with broth? How much butter did you use? 3/4 cup? I don’t have a great blender so I’m nervous to attempt the cashew cream from scratch, but I do have an abundance of TJ’s cashew butter! Any tips you can share would be amazing! Thanks! This soup is absolutely fantastic. One of my favorite soups. The spice blend is just right–it brings the heat, but isn’t too strong for someone who doesn’t handle spiciness well. The soup itself is really hearty and pretty easy to make. This is a truly delicious recipe. I’ve made it for my kids, my friends, my clients.. Everyone loves the unique flavours of the 10-spice blend. YUMM! So happy I found this recipe. I made a big batch a few days ago, going to make another tomorrow with the extra veggies I have from it and eat it throughout the next few days for my work lunch. Can’t wait to try the rest of your recipes! I have always been intimidated by the idea of cooking a soup, but the weather was changing and I was tired of cold salads. I wanted something hot, loaded with veggies, and little else. This recipe seemed to fit the bill perfectly, so I decided to give it a go. Let me just say this soup turned out AMAZING! The ten spice blend is delicious (although I left out the white pepper, it still had some good heat). I shared the pot with my decidedly omnivorous spouse, and he loved it too! I even gave some to my colleagues, and every single person who tried it was so impressed by this soup. The best part? It was super easy! I even blanched the tomatoes myself (something else I was too afraid to try before). This recipe is going in the repeat book, I can’t wait to make it again. This soup is amazingly delicious. I made it for dinner last night and then this morning my husband woke up and actually said “I can’t wait to eat that soup again tonight”!!! Not kidding. It is THAT good! I made this soup today and it ended up very delicious. I accidentally added all the spices in to the mix (like at least one other reader here before) but it turned out very good! It is very spicy, but not too much and very delicious. I will definitely try it again with less spices but I like it like this as well. Very satisfying and delicious winter soup! Im going to try this fab recipe omitting the cashews and blending silken tofu to substitute for the creaminess :) cant wait! I just do not have time to make my own tomatoes from fresh for soups, etc. So I but my tomatoes, organic in a glass jar. They are readily available. No reason to ever buy tomatoes in a can. This soup receipt is fantastic. I have a child in my family who is allergic to all nuts (except almonds) and sunflower seeds. Do you think almonds would work as a substitute for the cashews in this recipe? Thank you for all your wonderful recipes!! This was so amazing!!! I just made it tonight. The flavors are incredible and it was so fun to make a good soup on a chilly night. The chopping is cumbersome, but worth it when it all comes together! And so many leftovers! Wow, this is one of the best soups I have ever made!! I personally am not vegan, but we were having a dinner party and needed a new, vegan-friendly recipe to accommodate one of the couples in the group. After some googling, I decided on this recipe, and I am SO happy that I did! Everybody was raving about the soup, eating multiple bowls, and asking for the recipe (which I gladly linked them to!). Definitely make the 10-Spice Blend, it was the perfect amount of spice- nothing bland or boring about it! The only slight modification I made was to use fire-roasted tomatoes over regular ones. It turned out so fabulously delicious. I can’t wait to make this again. It is definitely going on our household favorite recipes list. This soup was fabulous. I used Trader Joe’s white quinoa instead of millet and 2 14 oz cans of fire roasted tomatoes from TJ’s. I also used about 6 bay leaves from the tree outside the kitchen. I’ve made it twice now and it is amazing! Thank-you for the recipe, Angela! Wow! i love this soup..
A nice alternative for blanching tomatoes is to cut them in half and roast them in the over for about 20 minutes at 400+ degrees. The skins will peel off easily and you’ll have a little different flavor component from the roasting. I might roast most of the veggies in this recipe before combining, if I wanted to puree the whole thing. Thanks for the inspiration! (and I also had a “duh” moment when you mentioned the painter’s tape! My absolute FAVORITE recipe. I keep coming back to it time after time because it’s so simple, fast, and delicious. I usually leave out the cashews just because they are expensive and it takes time to soak them. It’s amazing even without them. I have made this soup literally dozens of times – it has been a family staple since it went up on the blog (and in the cookbook). It tastes great exactly as written, but over time my family has decided that it’s best for us to switch out the 10-spice seasoning for Old Bay Seasoning, use green pepper instead of red, and use white beans instead of chickpeas. But it’s really good any which way. That cashew slurry totally makes it. Both my kids and husband love it. Highly recommend! I’ve been craving something like this on these cold winter evenings, so thanks for posting! Your spice mix sounds amazing. I’ve just started using paprika more in my cooking, so I’m glad to see that’s included. I’ll try this recipe out this weekend! I love these recipes but we have a cashew and pistachio allergy in our house. Which but is a good substitute for cashew? I got this cookbook for Christmas and this was the second recipe I’ve made. I was a little worried this would be to spicy for me as I was making the 10 spice seasoning and I am fairly sensitive to spicy stuff. So glad I made this! It was delicious and not too spicy. My husband loved it as we’ll! We will definitely be making this again. Like many of your commenters, I don’t think we will have any leftovers for freezing with this batch! Thank you for this warm, healthy and delicious recipe!!! My whole family LOVES this soup! Awesome recipe for my vegan and non-vegan family and friends! Yum yum! Hi Angela – I have this soup simmering on my stove right now. Although I haven’t eaten a bowl yet, I just taste tested it and it has great flavour as I knew it would. I wanted to say thank you for not just throwing any old recipe up on the blog. I appreciate that you fine tune them first. Any blog can have a good recipe or two but it’s difficult to find recipe sites that are consistently good and your recipes always are. I have great confidence when I make a recipe from Oh She Glows that it was be great and that is a review you have earned. Thank you for my new favourite weekend warmer. Love everything about this soup! The cashew cream catapulted this soup from healthy and flavourful to a comforting yet guilt free indulgence. Just… Yum! I made this soup last night, and it was fantastic! I used navy beans instead of chickpeas, and it was perfect. Thank you for the recipe! This an unbelievable soup – it is my new favorite vegetable soup, and one of my new all-around favorite soups. The flavors from the 10-spice mix are incredible and hold up well. I like everything from OSG, but this is a particular stand-out. My omnivore husband was really impressed. I can’t wait to try the spice mix on some tofu! I made cornbread (northern cornbread, so it’s a little sweeter) to go with this, and it balances the smoky / savory perfectly. Virtual high five, Angela! P.S. I’m making the new level vegan enchiladas tonight, can’t wait! I appreciate getting the yummy soup, etc recipes. It would be even better if you could give me the nutrition info. A lot of us are paying attention to that now. Thanks again! This is my favorite soup yet, and we make it at least once a month. Gonna make this tonight! One question. If you use tomatoes from the freezer. Can you still freeze the soup. I remember hearing something about freezing things twice. I have a quick question, Do you combine the water AND the cashews into the blender? or Just the drained cashews? Hi Meredith, after you drain the cashews, just add them into the blender and blend with 1 cup of vegetable broth. Hope this helps! How big is one serving of this recipe? I know it makes six servings but wondering how that translates into cups? Thanks for your help!!! Terrible, terrible terrible..! Everybody thought it was way too hot…Were all not having hot wings, but this is what this soup tasted like…! The ten spice mixture has too many peppers spices in it. Don’t think your kids are going like this…besides the heat crazy foodies! Plus, I made the mistake of putting all of the ten spice mixture in the batch, which ruined it of course, not 1-2 tablespoons, like the recipe calls for. But, it wouldn’t probably made a difference. I was embassassed, in front of my hunger crew, while they were all thinking how they were prayiing for something else to eat for dinner last night. They meant even hate vegetable soup now, which I am trying to get my crew to eat healthier.I don’t have kids, but everybody is a kid at heart, and wants good cuisine. This recipe is a waste of time and money, try something better, and don’t ruin your dinner by trying this recipe, unless you want hot wing vegetables soup. It doesn’t even get 1 star….sorry. Hey Melissa, I’m sorry to hear the recipe didn’t work out for you. Since the spice mix contains a whole teaspoon of both cayenne and pepper, I definitely think adding the entire mix would result in a much too spicy soup. I recommend trying it with the suggested 1-2 tablespoons, adding to taste, next time, if you give it another try. Hope this helps! You ruined the soup by putting too much of the spice mix, and yet you’re blaming the recipe. That’s funny. I have been reading your recipes for some time, and this is the second recipe I have made from your site. Every Christmas since you created the recipe, I have made your Wedded Bliss Ginger cookies – they are so good with extra ginger in of course. Today I made your spice mix, and the 10 spice vegetable soup. Delicious…….. thank you so much for all the work you put into creating your recipes. Everything is laid out so nicely, and your photography is beautiful. Also, the recipes are easy to follow. I am definitely going to make more of your wonderful creations, and have printed off, and saved a few for later. 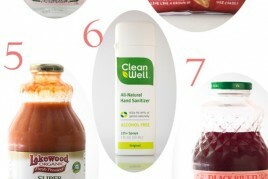 Am slowly switching over completely to organic products. My vegetable are all organic from my garden, and a friend and I go berry picking in the local park and farmers market. I am a nearly 71 year old female, and have ‘played around’ with vegan, and vegetarian in the past, but always went back to eating too much meat etc. I think it’s called a sad diet! I cannot use cashews, so in todays soup recipe I replaced them with cooked and pureed cauliflower, and it worked very well. Thank you again, and congrats. on your new bundle of joy. You will be a busy lady. Absolutely fabulous! I’ve never used cashew cream before and was so pleasantly surprised with how much it acted like cream when added to the soup! -From the color and consistency to the flavor! It actually added a creeaamy flavor together with the 10 spice. Love this. Will be repeating this recipe again and again. Hi Angela! Love your site and cookbook. It’s helped me a ton since I met my (vegan) boyfriend almost 2 years ago. I’ve been dying to ask, do you have any more specific suggestions for using the 10 spice blend? I see you’ve written “pasta, potatoes, soups” but any other recipe besides this soup?? Thanks!! Hi Kayla, This is such a great question! The wonderful thing about the 10-Spice blend is that it’s so versatile; you can get really creative with how you use it in your kitchen. Aside from the 10-Spice Soup (which is an OSG cult fave! ), you could use it to kick scratch tomato sauce up a notch, or add a new twist to roasted potatoes or Lightened-Up Crispy Baked Fries (p. 203), kale chips, Crispy Baked Onion Rings, Pan-Seared Garlic Tofu (p. 197), or Perfect Roasted Chickpeas (p. 220). I love adding a tablespoon or so to Endurance Crackers, and sprinkling it over toast topped with avocado and hummus. You can also try it in my Oh Em Gee Veggie Burgers and Metabolism-Revving Spicy Cabbage Soup (Oh She Glows Every Day, p. 139). I just tried your 10 spice blend veggie soup. It was excellent. I substituted a can of mixed beans and it was great. I also made it with almonds instead of cashews as I have a cashew intolerance. It was a bit grainy so maybe next time I will blend longer. I have a vitamix so it should have smoothed it out enough. My question is can I use almonds to substitute for cashews in all your recipes? What about macadamia nuts? Have you tried using these other nuts? Hi there, I would like to make this but we have nut allergies. Can you tell me what I could substitute for cashews? Hey Melanie, I’m not sure of a substitute off-hand as I haven’t tested anything out. I’ve thought about trying full-fat coconut milk, though…I’m not sure if it would work or not! If you experiment, please let us know how it goes. Otherwise, although the cashew cream does make the soup very creamy and rich, you can feel free to omit it entirely. It’ll be just like a regular veggie soup! I make soup all the time and have dozens of favorite recipes, but I think this is now my all-time favorite. SO much flavor. We’re not vegan or even vegetarian (though almost), but we couldn’t get enough of this soup! One thing I found helpful was to prepare the “mise en place” throughout the day. I work from home, so in 5-minute bits of time I did little tasks like blend the cashews with broth, make the 10-spice mix, chop onions and garlic and combine, chop other veggies and combine, drain chickpeas and set out spinach and tomatoes. Then, when it was really time to make the soup at 5:00? Easiest and quickest process ever. I think doing it all at once would make this seem labor intensive, but it’s really not–just a lot of steps. I would appreciate it very much if you could tell me where you got the beautiful cookbook stand. I’ve been looking for one like that for almost 2 years. It looks nice and sturdy which should hold all of my thick cookbooks. Thank you so much. Also I do plan on making this dish. I made this soup last night and it’s absolutely delicious. Warming and nourishing, perfect for fall :) Thank you! I made this delicious soup yesterday and it was really heartwarming and tasty !! I didn’t have any celery so I switch the celery + kale for swiss chard stalk + leaves. I used a small squash instead of sweet potato. Very healthy and very tasty!! The best part is that I have enough to freeze half the recipe, which is very practical :) thank you for the recipe! I love recipes that have leftovers! It’s just so convenient. :) I’m so glad you enjoyed the soup, and that it worked out so well with your swaps. Thanks for the comment! This soup is so good! I love how straightforward and simple it is, and how versatile! I used sweet potato for the starch, and the only change I made was to use a “fine herbs” bouillon because the store was out of vegetable. I would make this again and again, for sure! This is possible the best thing i’ve ever tasted! If you’re wondering if you should make this, YOU SHOULD! Im having to hide my leftovers because even my meat loving friends can’t stay away from this soup! SOOOO good! Hi Lisa, thanks so much for the “glowing” (heh) comment! I can’t tell you how much it brightened my day. :) I’m smiling ear to ear! I’m sure someone smarter than me has already suggested this, but, when I make this soup I scrub the vegetables and put a pot of water on the stove on simmer. As I peel the veg, I toss in the peelings and bits I cut off (only the good bits of course) into the pot. By the time I need the broth I have my own ready. Love this soup, have a pot cooling now ready to put in containers for the freezer. Must be the cashews that give it that lovely smooth taste. Hi Crystal, All you need is 1 to 2 tablespoons of the homemade 10-Spice Mix for the soup! Just made this tonight and it was fantastic!! So happy to hear it, Danica! This has been on my “to try” list forever. I tried it! And I LOVED it! This is an absolutely delicious soup – my only regret is waiting so long to make it! Thanks for a winner to add to my soup rotation. My sister made this before Christmas & I ate 2 bowls, it was soo delicious! Due to dietary issues I needed to adjust the recipe (need to avoid nuts). I substituted a can of organic coconut milk (Whole Foods brand is the best) for the cashew milk & it was amazing!! Also received BOTH of your cookbooks for Christmas, super excited!! Hi! Does using boiling water for the quick soak cashew method diminish any of the nutritional value of the cashews? My boyfriend made this for me tonight and it was incredible!!! It was so freaky and actually very light! I had a huge bowl and no bloat afterwards! Plus the recipe made a TON so I have leftovers for at least another 2-3 days for 2 people. This recipe is definitely going into the weekly rotation! Wow major typo in my last comment. I meant creamy*** not freaky ? This soup was amazing!!!! I’m sure glad I didn’t double it though or I would have needed another stock pot ;-). This was enough for two adults, 2 kids, and a baby for 2 dinners and a lunch! We all loved it!!!! You are talented! This soup is amazing! I made it for the first time tonight, my roommate and I are both sick, and it was the perfect comfort food. My roommate is a super picky eater, and does not eat any vegetable other than potatoes, so I may have fibbed about the contents of the soup until after she ate 2 bowls of it but she was still in love with it even still. Great recipe!! Aw, so sorry to hear you’re both under the weather. Get well soon, and I hope the soup helps! I LOVE THIS RECIPE, I’ve made it numerous times now with slight variations but the 10-spice mix is just killer. I’m currently in the middle of a yoga training and our ayurvedic teacher promotes using LOTS OF SPICES… she notes tumeric as an easily accessible and very beneficial one. I’m wondering- are there any additional spices I might add to this (as if 10 weren’t enough) to make it a 12 or 15 spice soup??? Hey Denise, So happy you love it so much! What about adding a bit of regular sweet paprika to compliment the smoked variety? Or a bit of curry powder might give it a great twist. Happy experimenting! Do you add all of the spice blend to the recipe? A very standard veg soup. Not a fan of the grainy-ness of it but adding nuts to soup is not something I’d usually do so that part is interesting. I wasn’t wowed, I’ve had similar combos with squash, tomatoes and chickpeas before that had much more flavour. And it makes a lot. My hubby will often eat seconds of the soup I make and he didn’t this time. Also I now have a partial squash left I’m going to have to use somehow. Wonderful recipe. Did you know you can blend raw, whole tomatoes, including skins and seeds, into a puree? No need to blanch and peel. So easy! Then cook down as normal, until finished frothing, before freezing in quarts? This soup has been my go-to vegetable soup since the first time I made it. I made some for Love Feast at church yesterday and everyone loved it! I gave out your website address to everyone who asked for the recipe. Thank you for sharing so many of your healthy and delicious recipes. This soup is super good! I blended it all up and it kind of tasted like potato cheese soup with smoky flavor from the smoked paprika. This is one of my all time FAVORITE soups to make! It is so delicious and its even better the second day. Very easy to make! Hey Jenny, Oh I’m so happy to hear that you love it so much! I agree it’s even better the next day…it just gets better and better. Enjoy! Made this soup yesterday for me and my boyfriend – I am a vegetarian (trying to go vegan, just having a hard time giving up cheese!) and he is a true carnivore. We both absolutely LOVED it – so full of flavor, spice, and the perfect healthy / filling fall dinner. Made a large batch, he has already asked if we can have more tonight, and I’m freezing the rest so that I can enjoy again in a few weeks. Will definitely make again! I love hearing that you both love it so much!! It’s always a good sign when the bf is asking for more. Thanks for your review! Wow, another complete and total win. I second what everyone said here. I omitted the peppers, and the flavor didn’t suffer one bit. It took just over an hour for me to make. I absolutely love this soup and am looking forward to my sweetie trying it tomorrow. I absolutely LOVE this soup. This will be my 4th time making it but I want to double the recipe to have over the holiday. Should I double everything or adjust some ingredients slightly? Hey Tere, I’m so glad to hear you love this soup so much! I don’t think I’ve doubled it before, but if I was going to try I would assume that everything would be doubled up…the only things I would wait to add to taste would be the salt (often you don’t need a full doubling of it, but it depends on the recipe), and the spice mix (add it gradually to taste and you’ll be fine. If you try anything out I’d love to hear how it goes! Made this recipe tonight and it won’t be the last time making it. It was very yummy. At first I was undecided whether or not I liked the flavour of the smoked paprika – it was a bit overpowering – but I got used to it and it wasn’t so pronounced as we continued eating. A really yummy dish. Loved how much vegetables were in it! Hey Danielle, I’m so happy you loved it! And yes, I do find the spice flavours tend to mellow a bit with time and the soup gets even better and better. Thanks for your feedback! Best soup recipe I have ever made in my life! And honestly, probably one of the best soups I’ve ever eaten in my life, including restaurants! Forgot to mention, I did leave out the cashews as my bf is allergic to nuts, but was still great! What can you sub in place of cashews? Hubby is allergic! Hey Stephanie, You might be able to try soaked raw sunflower seeds instead of raw cashews (maybe 2/3 cup)? The flavours will change a bit though! Let me know if you try anything out. I am adding directions here for an instantpot. I used dried chickpeas and soaked them 4 hours beforehand. I added 1 extra cup of water to accommodate the dried chickpeas. Sautee onions and garlic in instant pot until onion is translucent. Add the tomatoes, carrots, bell pepper, spices, celery, and potatoes then stir to combine. Add all remaining ingredients including dried chickpeas to the instantpot. I used kale instead of spinach, as I think it holds up a bit better in the instant pot. Cook for 15 minutes on the Soup setting. If you want your kale to be super soft, you can cook it for 20. I did a quick release, but it actually takes about 3 minutes to depressurize even with the quick release. Hey Maria, Oh thank you so much for sharing your Instantpot success! I’ve been meaning to pick one up. Sounds awesome! Hey Sally, Oh I love this idea and it’s one I’ve considered for sure! Thank you so much for your kind words (and that’s so fun you that you work so close by)! Wow Wow Wow, best soup ever hands down! I make homemade soups every week and I don’t know why I didn’t try this sooner. Amazing! I love this soup! I found this recipe about a year ago and make it about twice a month. It is so versatile. I can make it very spicy for our family or less spicy for those who do not love spicy food. I shared it with some co-workers and they love it too! Thanks so much for the amazing work you put into your site and recipes. We are paying attention and the world is getting healthier one recipe at a time thanks to you Angela! Keep up the great work! Aww Lyne, I can’t thank you enough for your sweet words. It really means the world to me and makes what I do feel so gratifying! I agree about being able to customize the spice level..I always add a lot more to my own portion because I can’t get enough of the spice mix. Hi! I have a question about your fresh tomatoes…can you freeze batches after blanching/seeding/citing? It would make sense to pick fresh tomatoes when they are most luscious (for me in PA, that means August). 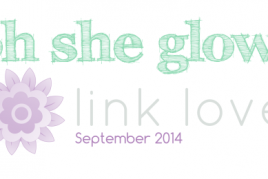 Thanks for your creative and healthy blog! Hi Robin, Oh good question! I’m sorry I don’t know…I’ve never tried this. I’m sure that others can chime in though! This was the best vegetable soup I’ve ever had! The mix of spices was perfect. Thanks for trying it…so happy it was a hit! Every recipe of your is FABULOUS! My son was sick and devoured this. It is delicious. Thank you! Has anyone tried this dish in an electric pressure cooker? It sounds great! Yes! I did so last night. Sauteed the onion and garlic added everything else (cooked, frozen garbanzos) for 15 minutes on soup. Then stir in cashew cream. AMAZING. I made this in my instant pot last night and my husband and I were actually speechless at how good it was. I have sent the recipe to all my veggie friends and already plan to make it next week. Thank you so much! Hey Holly, Thank you so much! I love that you made it in the instant pot. Has anyone tried making this soup with beef or hamburger? I live with a diehard beef eater..ugh! Thanks for this outstanding recipe, Angela. The 10 spice mixture is a killer! Marked the soup in my edition of your book. It’s a keeper! Hi Angela, Thank you so much for creating this soup recipe. I made it today because I needed to batch cook for workday lunches. The 10-Spice Mix is great! I made it 11-Spice by adding 1 teaspoon ground Turmeric (which benefits from the ground black pepper in the mix). Thanks for this mix. I’m always too cautious about adding spices, and don’t know what’s good with what, so this makes it easy and delicious! I also keep one- or two-cup packages of Kale (which I’ve cut into ribbons) in my freezer for soups or quinoa salads. So that made it super easy to just dump a package in the hot soup and give it a stir. This is my new favourite (spelling? – I’m Canadian too!) veggie soup recipe! I’m trying to eat a more whole food plant based diet (since December 2017) and this fits the bill. I just had two bowls for dinner! I’m going to freeze it in single serving containers, and I know I will be making it a lot going forward. Love it! Oh these are my favourite kind of comments…loaded with your own tricks! I love your turmeric addition to the spice mix..I can’t believe I haven’t tried that yet! And that’s also such a great idea about keeping pre-cut greens in the freezer for quick soup/stew/meal add-ins. I often find myself out of fresh greens so I usually throw in some frozen store-bought bagged greens, but they’re never as good as fresh. Good luck with all of your plant-based goals! Whohoo so happy to hear that! Congratulations on your new baby. Even though mother’s to be freeze food for weeks in advance, in Israel a new mother and even one with several children will find a home cooked meal waiting for them from the neighbors when they come home. It is our biggest good deeds project in our community. Hoping to try your recipe soon. Aww, I love this. Nothing would be better than coming home to a lovely home cooked meal! I hope you try the soup soon and enjoy it! Love this soup and the 10 spice mix as well. I made sweet potato wraps/tortillas yesterday with spelt flour and added some of this spice mix in with it and they taste awesome! Love all your recipes. That sounds soooo perfect 👌 thanks for your kind words! This recipe made me love soup again! Hands-down the best vegetable soup I’ve ever had. Thank you for this! Tonight was my second time making this recipe. The first time I stuck to the recipe. In the end I wasn’t a huge fan of the way the cashew cream looked, even though the soup tasted awesome! Tonight I tried something a little different to replace the cashew cream. Before adding the kale and black beans, I moved half the soup into a separate bowl and blended it with a hand blender until smooth. Then I added it back to the pot, along with the kale and beans. Total game changer!! To make it a little more filling, I added some cooked brown rice to my bowl. Another game changer! !